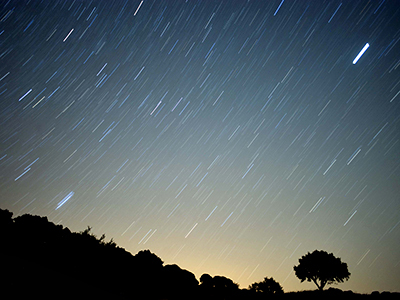 Two spectacular meteor showers will alight the sky over the next few weeks. At their peak the Delta Aquarid and the Perseids will send dozens of lights across the sky each hour. 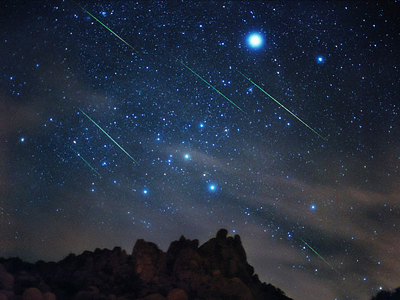 Most meteor showers are created by comets, celestial clusters of ice and rock. As a comet orbits the Sun it sheds an icy debris belt along its orbit. When and if our planet travels through this stream, we are able to observe a meteor shower. They are named after the star constellation that overlaps with a region of our sky, also known as the radiant. The two annual summer showers offer some of the most spectacular sights. First up are the Delta Aquarids, during which meteors will appear to originate from the Aquarius constellation. 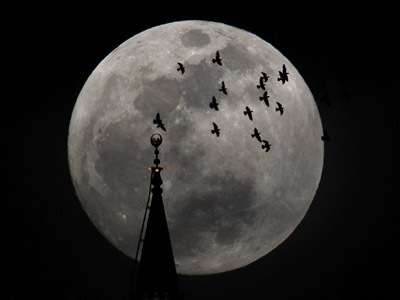 During the last few days of July, in a dark sky in the Northern hemisphere, it’s possible to see up to 20 meteors an hour, particularly between moonset and dawn. Next, coming to a backyard near you is the Perseid meteor shower, which will peak on August 11 and 12. 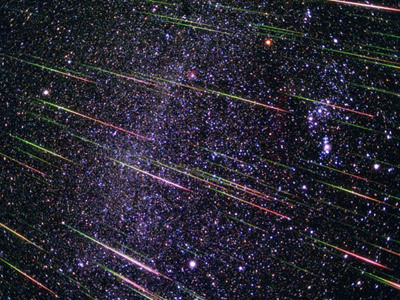 To tune in for a streak of meteors across the nighttime sky, make sure to have a blanket and a pillow – if you are lucky you could see as many as 50 meteors. 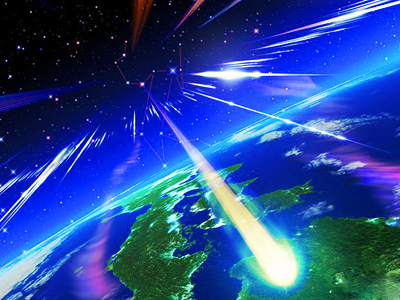 And like all meteor showers, as the sun sets, the number of meteors starts to increase. The intensity picks up all the way through the night, with the greatest bombardment of the sky anticipated just before dawn. So escape the city noise, find a dark, secluded spot where oncoming car headlights will not ruin your sensitive night vision, and lie down and enjoy the spectacle. The next good cosmic shows are scheduled for the fall, with the Orionids passing overhead on October 20 and The Leonids on November 16th.